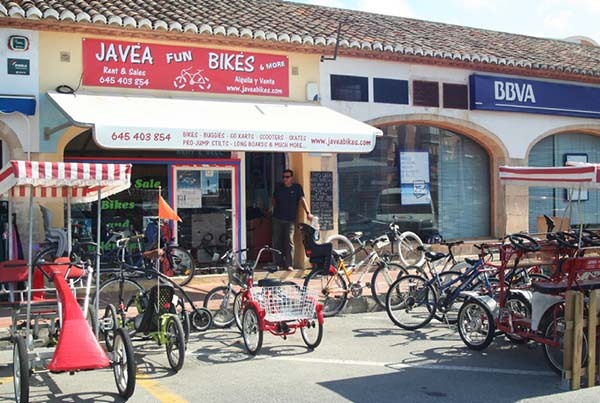 Where can you rent a bike in Javea? 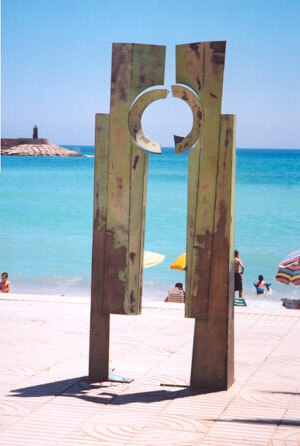 The answer is Javea Fun Bikes down on the Arenal. They are very friendly and offer the whole package - bike, helmet and friendly service. You can choose mountain bike, racer, tandem, bike with a child seat, and bikes of the right size for you whatever your size or age. You can also rent those little cart style bikes that the whole family can pedal together. The cost ranges from 3 euros an hour to 60 euros a week.